In the past years Modeselektor, who have just released their first ever documentary “We Are Modeselektor” on DVD and BluRay, have worked several times with their French friends Cedric and Teki. 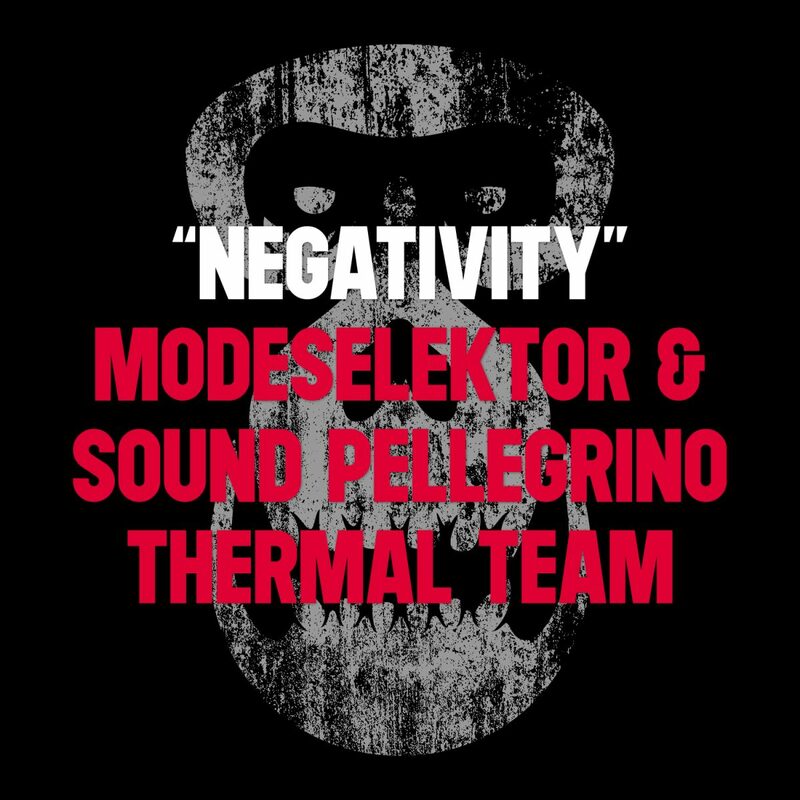 Back in the day when they were still part of the hip hop group TTC and now again as the Sound Pellegrino Thermal Team.“Negativity” premiered exclusively on the “Sound Pellegrino presents SND.PE Vol.1” label showcase compilation released on June 17, 2013. Monkeytown Records now follows shortly after with a digital only single release featuring the original, as well as the instrumental version.